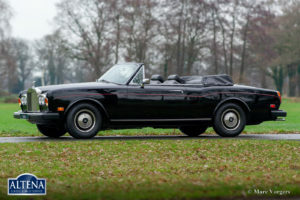 Rolls Royce Corniche Convertible, year 1981. 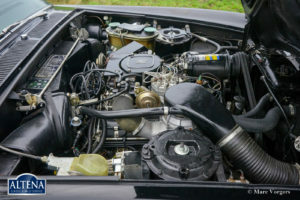 Chassis number SCAYD42A4BCX016XX, engine number 0168X. 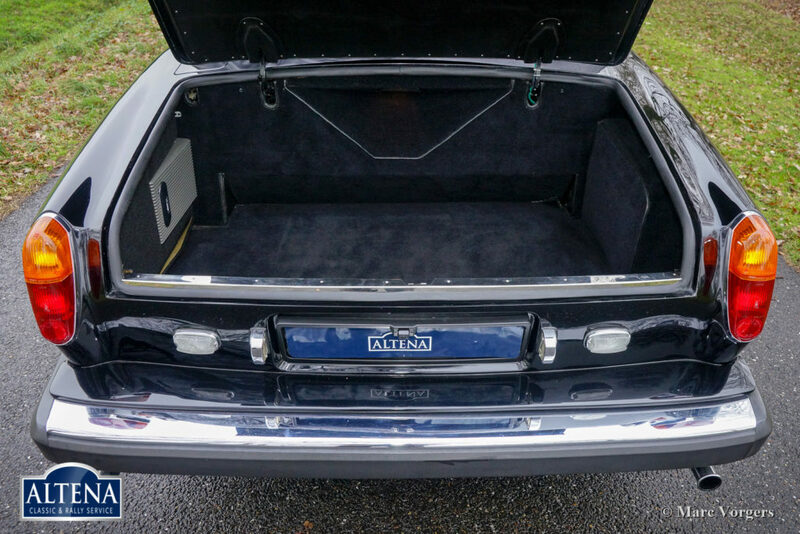 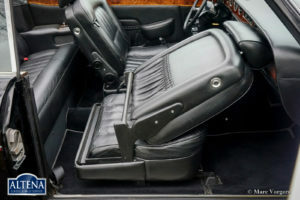 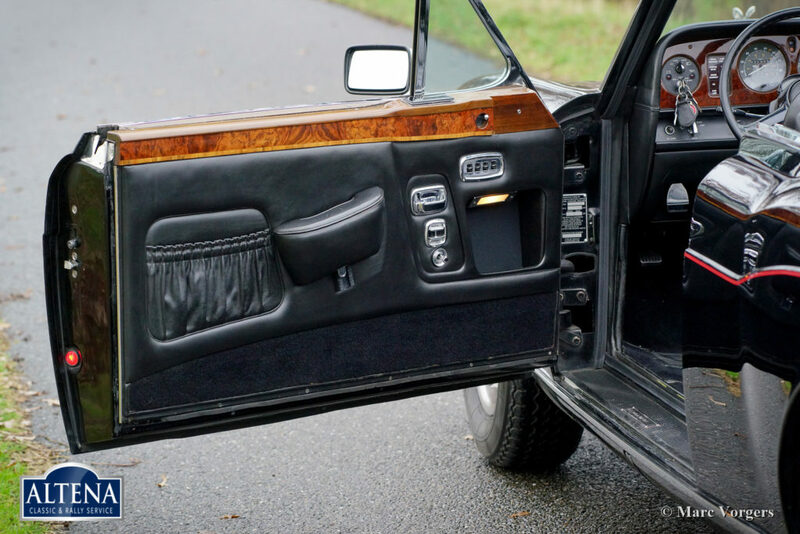 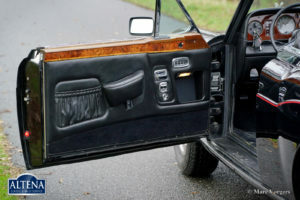 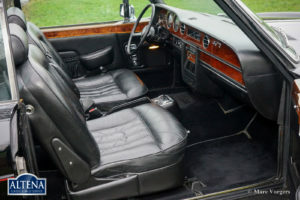 Colour Black Masons with a red ‘pin-stripe’ over the sides, combined with a black full-leather interior (code Black VM8500) and black carpet. 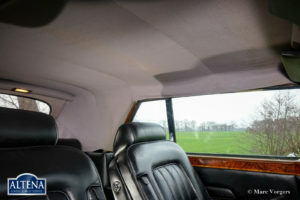 Black hood and a black leather hood-cover. 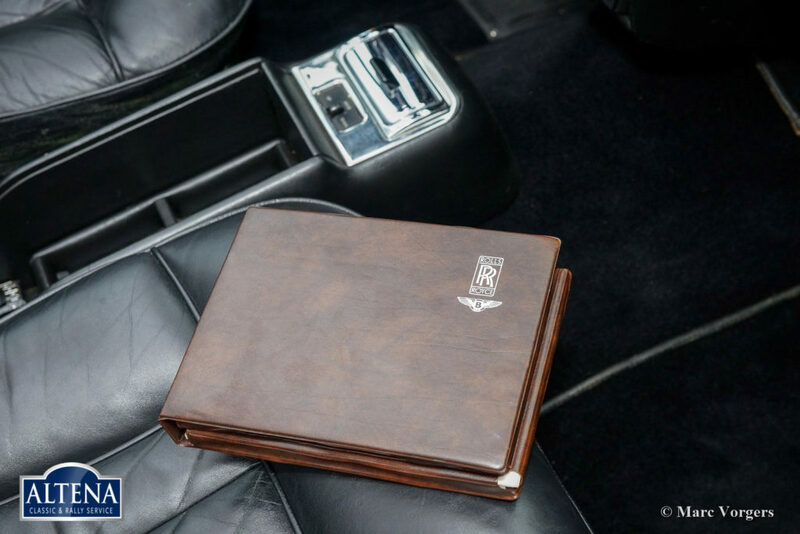 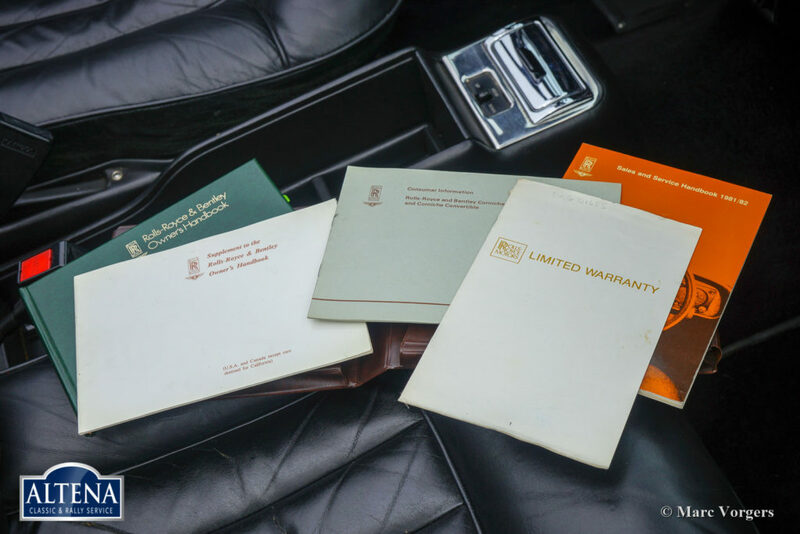 This majestic Rolls Royce Corniche was sold new in the USA, the car comes with all the original books which were supplied with the car. 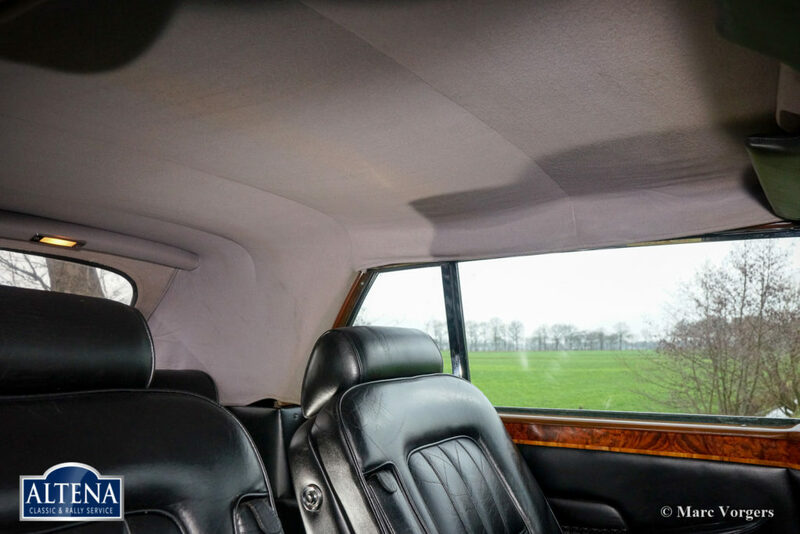 Also, the factory original Blaupunkt Frankfurt stereo radio is still in place! 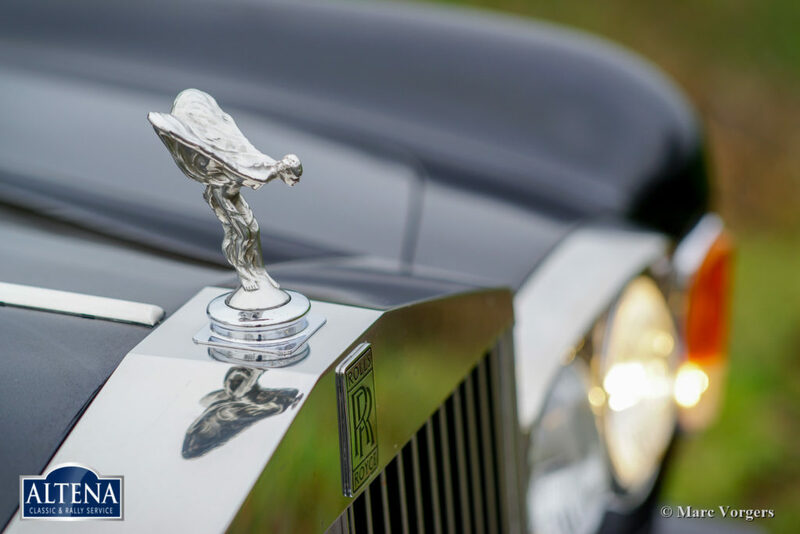 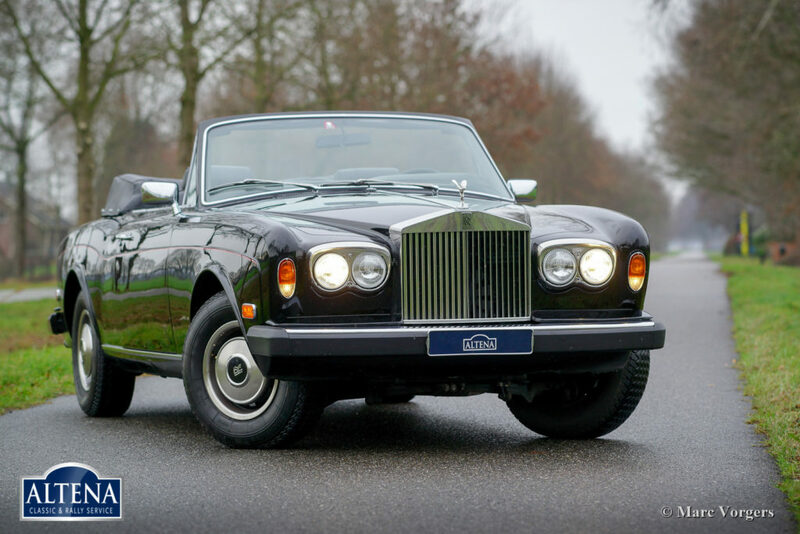 In the year 2013 the first owner shipped the Rolls Royce to Germany, in the year 2018 the car was registered in the Netherlands. The car has driven 67.000 miles from new and it comes from the second owner. The service history is beautifully documented from 1992. In the last years over 15.000 euro has been invested to bring the car to ‘like new’ standards, detailed invoices are present. 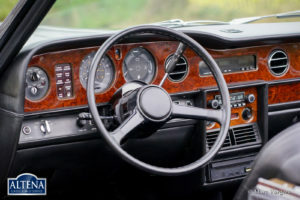 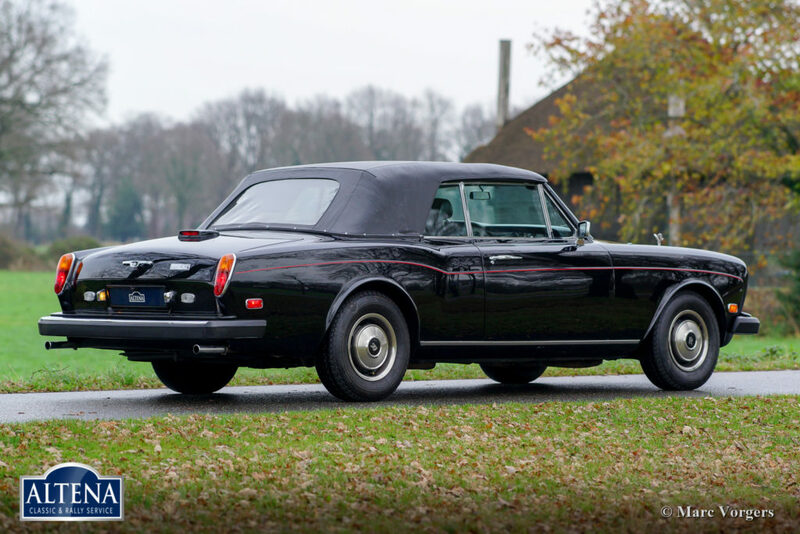 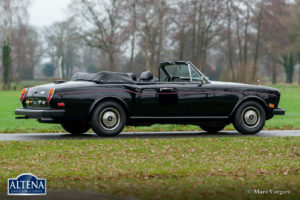 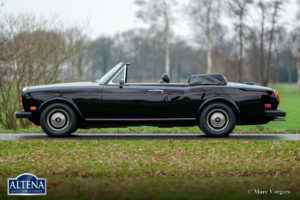 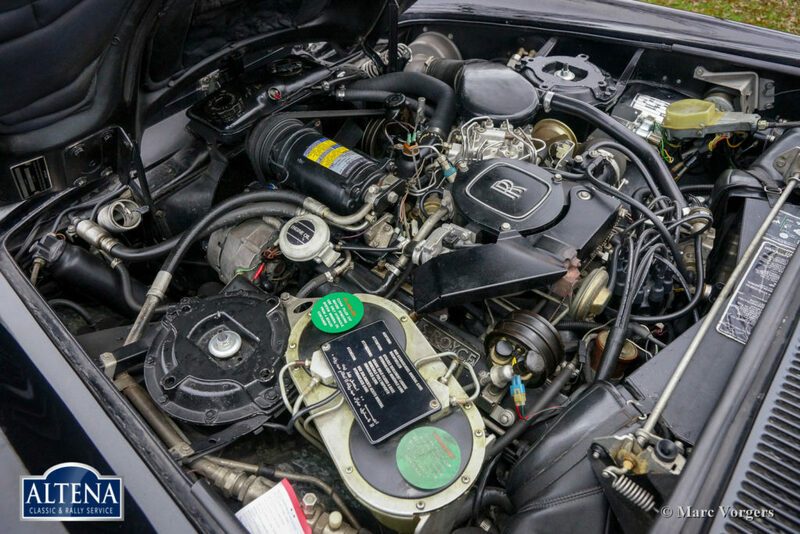 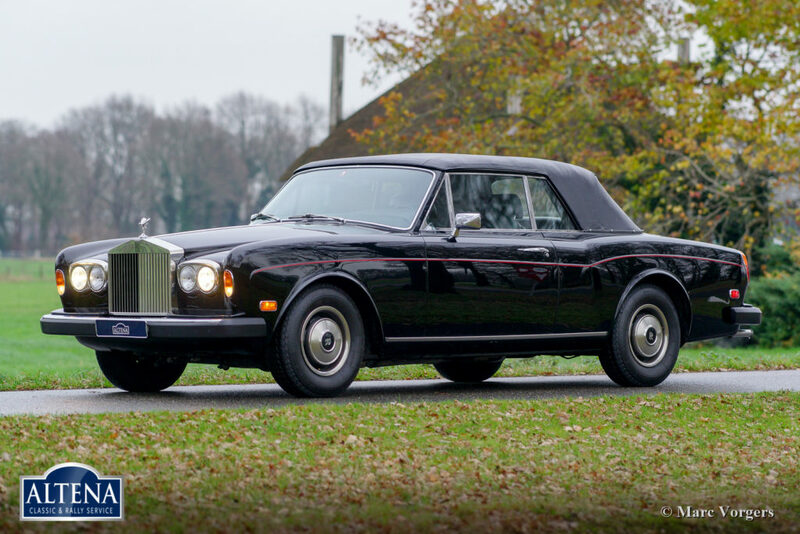 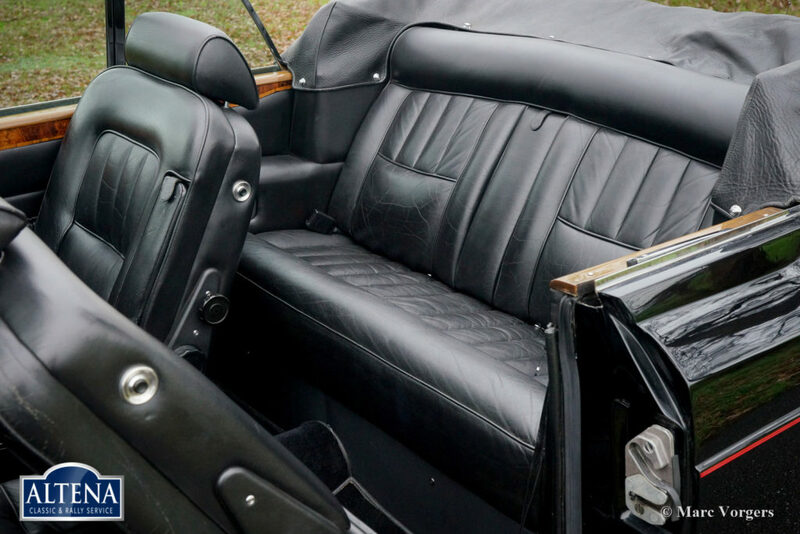 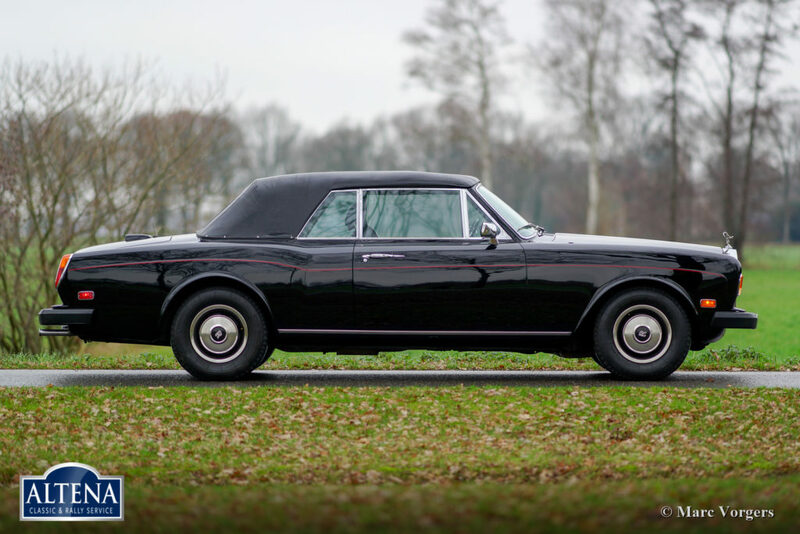 This magnificent Rolls Royce Corniche shows all the original details, the automobile is in superb TOP condition, and the car drives delightfully! 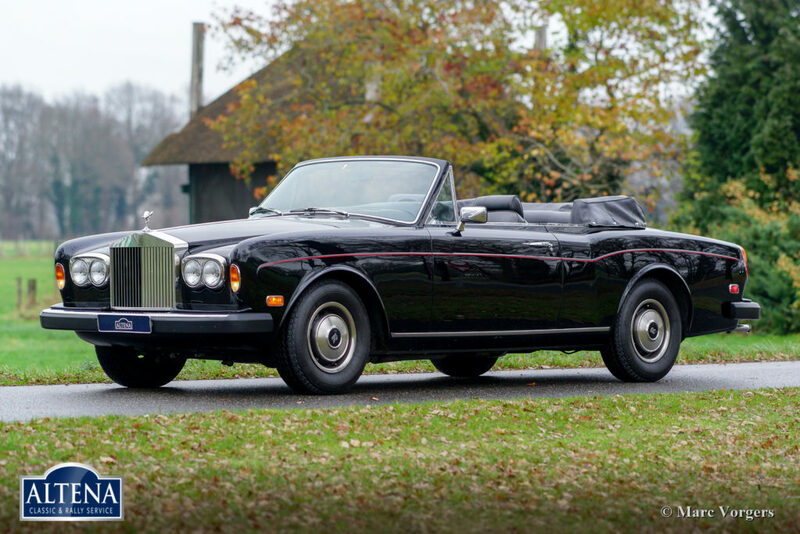 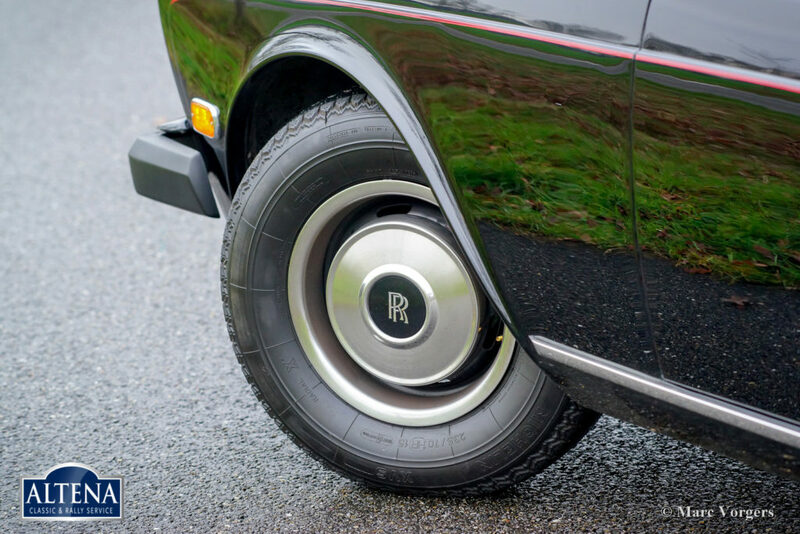 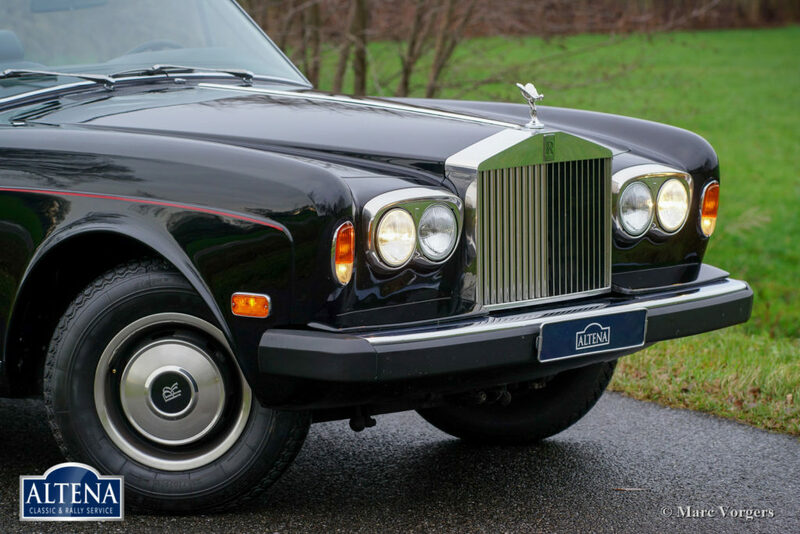 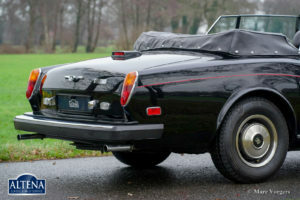 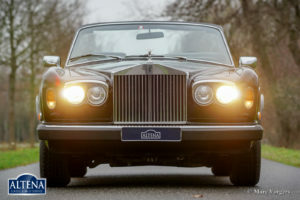 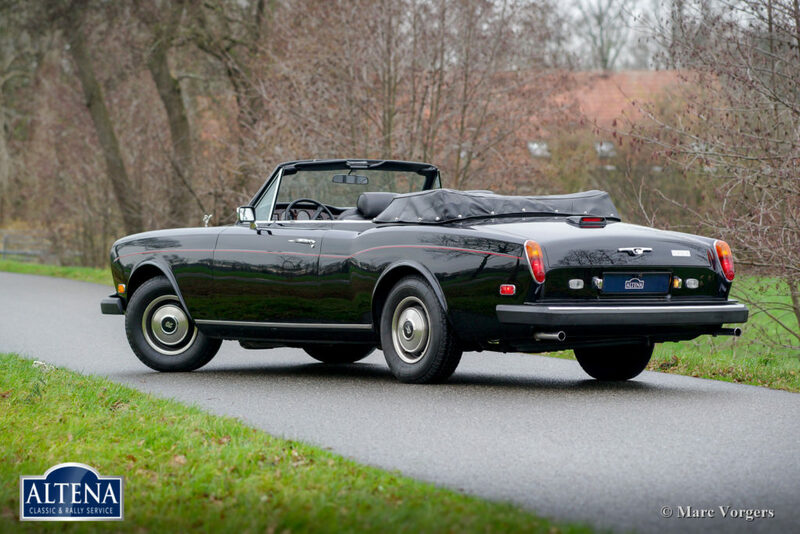 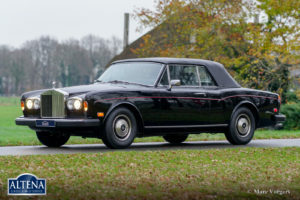 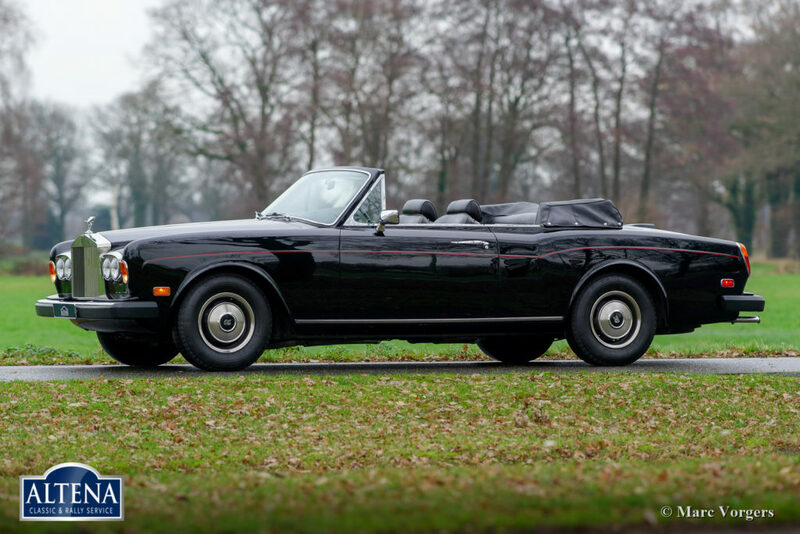 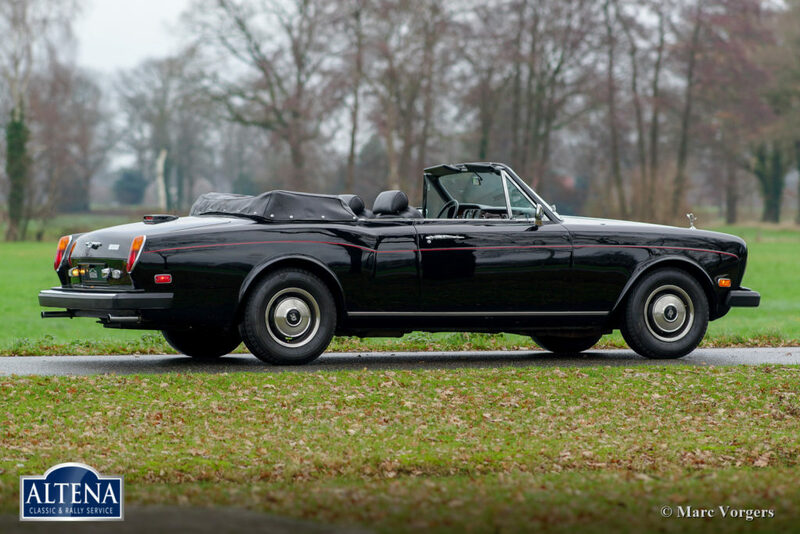 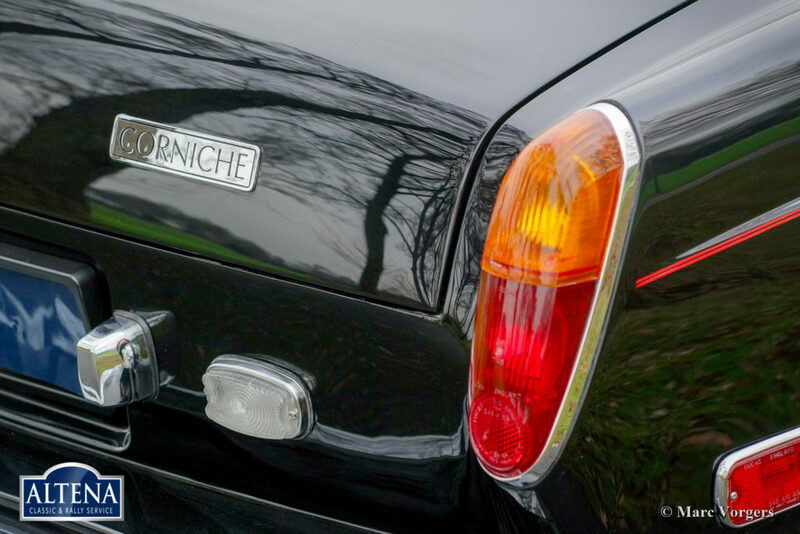 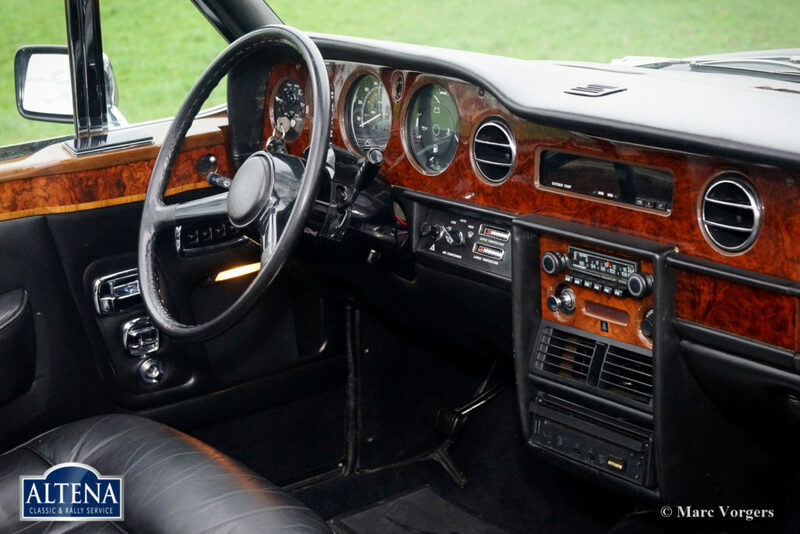 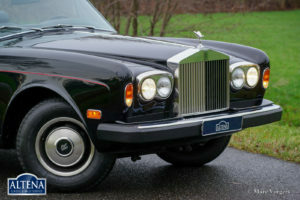 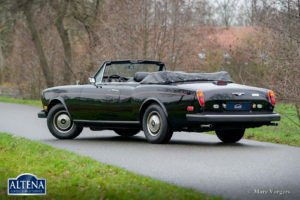 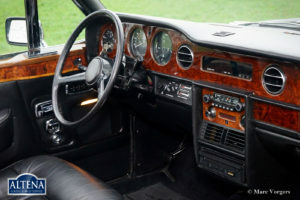 This Rolls Royce Corniche is a very desirable top-class luxury cruiser for the discerning classic motoring enthusiast!